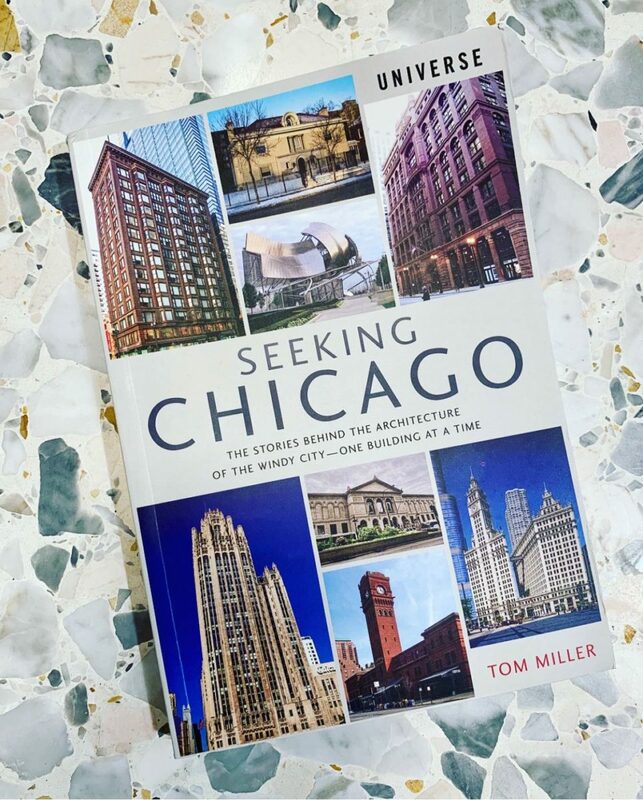 Tom Miller is an architectural historian and the author of Seeking New York and the newly-released Seeking Chicago. His blog has covered the histories of more than 2,500 buildings, fountains, statues and other points of interest in New York City. 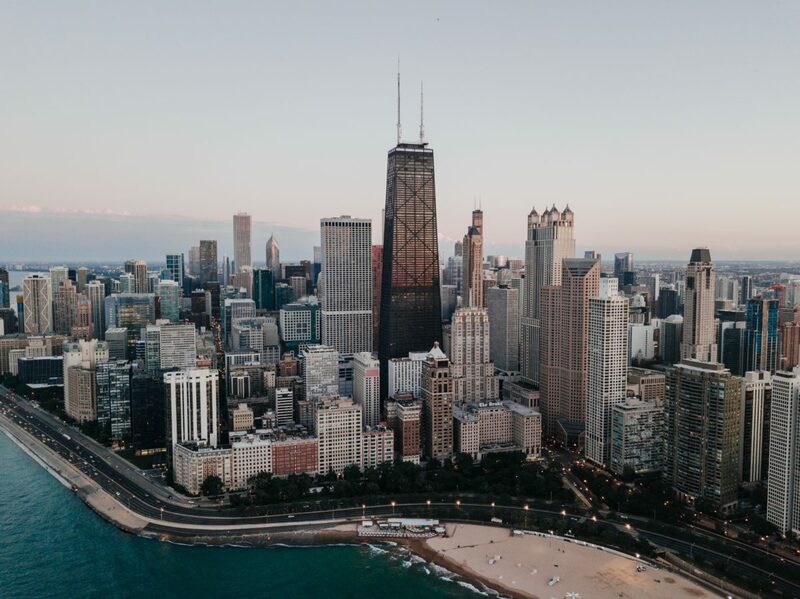 Miller grew up in Ohio before moving to Manhattan in 1979, but before then, during his college years, he frequently visited Chicago, and marveled at the astounding blend of architecture with the city’s riveting history. Unlike other books about local history, Seeking Chicago: The Stories Behind the Architecture of the Windy City, uncovers the dramas that have unfolded within the architecture of the city and details a largely unknown side of Chicago’s history, building by building. Though Miller lives in New York, he’s well-versed in the city’s best attractions, especially when it comes to architecture. Read on for his insight into the city’s rich architectural history and his ultimate architecture-lover’s Chicago hit list. What’s special about Chicago? Why should people come for a visit? Starting out as a frontier town, essentially the gateway to the Far West, Chicago struggled early on with its reputation in the sophisticated eastern cities like New York, Philadelphia and Boston as a place of cowboys and cows. As the town grew into a city, its upscale citizens endeavored to bring culture and class to Chicago—building a world-class art museum, for example. Much of Chicago’s early history tells of settlers who became millionaires, of astounding stories of heroism during the Great Chicago Fire of 1871, and of the nearly lawless days of the Great Depression and Prohibition. The blend of rich and poor, the rise from the ashes, and the shocking—if somewhat romantic—gangster period, makes this city unique in American history. What makes architecture an important part of understanding Chicago? Among the city’s greatest contributions to American culture was its nearly single-handed transformation of American architecture. At the turn of the last century, when the country’s top architects like McKim, Mead & White and other east coast firms were simply regurgitating styles hundreds of years old, Chicago architects like Louis Sullivan and Frank Lloyd Wright rewrote the rule book. Chicago changed the face of American buildings forever. What are the three must-sees in terms of architecture in Chicago? 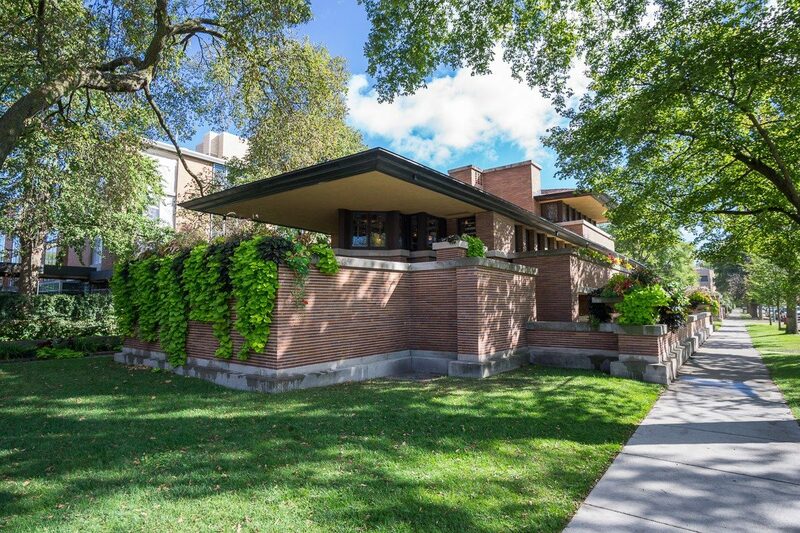 The city is filled with architectural treasures, but if I had to choose three “must-sees,” I would include Frank Lloyd Wright’s magnificent Frederick C. Robie House, the Tribune Tower, and the delightful 1904 neo-Gothic Engine Company 98 Fire Station. These are great examples of three very different styles and periods which exemplify the city’s range and wealth of architecture. Where do you find inspiration around Chicago? Two Chicago locations which I find inspirational are the enchanting The Dream Lady statue in Lincoln Park, and the Ida. B. Wells house. The Dream Lady is, technically the Eugene Field Memorial. Field was a newspaper columnist who also wrote poetry for his children. Eventually he published the poems, including the famous “Dutch Lullaby,” otherwise known as “Wynken, Blynken, and Nod.” Years after his passing in 1895 citizens erected the statue depicting a fairy sprinkling “the sand of dreams” into the eyes of two sleeping children. A much different type of inspiration can be had by a visit to the Ida B. Wells House at 3624 Dr. Martin Luther King, Jr. Drive. Wells was a determined civil and women’s rights advocate who first came to Chicago from the Deep South in 1893. More than 70 years before Rosa Parks refused to give up her seat on a Montgomery, Alabama bus, Ida sat in a first-class ladies’ car on the Memphis and Charleston Railroad, refusing to move until she was finally dragged off the train. She and her family suffered threats—even bombings—while at this house. Nevertheless, she became a force in Women’s Suffrage, helped found the NAACP and exposed lynching in the South. Although the house is still privately owned, a walk along the wide sidewalk in front of it gives the visitor a sense of the overwhelming obstacles she faced and the great achievements she made. No one should leave the city without visiting the Art Institute of Chicago. The remarkable 19th century building and its masterful 21st century Modern Wing houses thousands of masterworks from Vincent van Gogh’s 1887 Self-Portrait and 1889 The Bedroom; Grant Wood’s famous American Gothic and Edward Hopper’s 1942 Nighthawks, to works by Andy Warhol and Jasper Johns. There is also the beautiful Chicago Cultural Center, built in 1887 as the Public Library and described at the time as a “palace.” Since 1991 its sumptuous interiors have been the venue for concerts, dance performances, literary presentations and visual arts. A visit just to see the lavish 19th century interiors alone is worth the trip—including marble staircases and the largest Tiffany glass dome in the world. Favorite outdoor destinations or public spaces. Where could someone go to relax? Chicago has reserved more than eight percent of its total land acreage to parkland. Lincoln Park is the largest and sits along the lakefront. Anyone needing open-air time will find not only beautifully laid-out lawns and gardens, but the Lincoln Park Zoo, the Lincoln Park Conservatory, a rowing canal, the Chicago History Museum, and serene Alfred Caldwell Lily Pool, statues, fountains and so much more. One of my favorite little-known gems in Chicago is the remarkable 1835 Henry Brown Clarke House at 1827 South Indiana Avenue. Clarke left his wife in luxurious surroundings in Boston to further his fortune in the fledgling frontier town. Before bringing his wife to join him, he erected a Greek Revival home that might look more at home on a Deep South plantation so when she arrived she would be comfortable. Their elegant wooden residence is operated as a house museum today, but even most native Chicagoans are unaware of its existence.